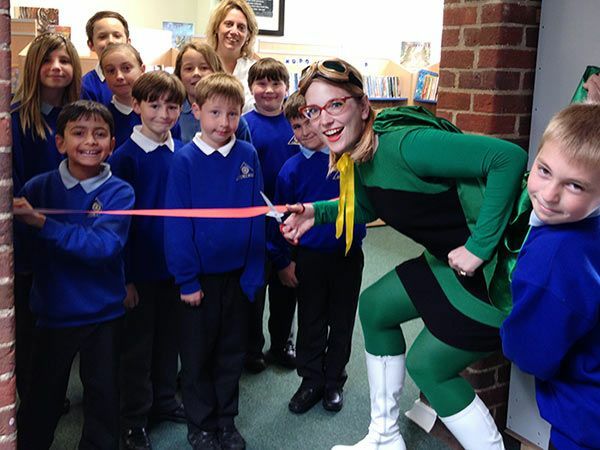 Getting an author to visit your school, library or festival is a brilliant way to inspire kids to read and fire up their creativity. I find a lot of kids don’t really understand that the name on a book cover is a real person. (It’s not some sort of box with a button that you push, and out comes a book.) And when they can see right in front of them that a writer or illustrator is a person who walks and talks and laughs and gets excited about stories, and occasionally makes mistakes, they get an inkling of possibilities: Hey, maybe this is something I could do, too! It’s so much more exciting to read a book by someone they’ve met. And if they get hooked on a story or two by that author, they may go on to read other authors, and it can open up to them a lifetime of reading, drawing, and enjoying books and stories. 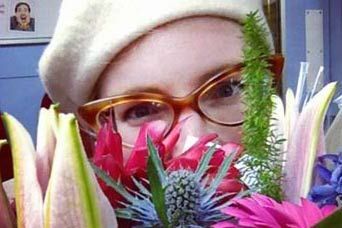 But any author will tell you that it's the host's preparation that can make all the difference between a wildly successful visit and one that makes much less impact. 1. Book as far in advance as you can. If you're hoping to book an author for World Book Day, you’ll need to add in extra time, possibly a whole year. Alternatively, you can organise a school book day on another day and have a much better chance of getting an author, particularly at shorter notice. 2. Expect to pay your author. You get paid; they should, too. 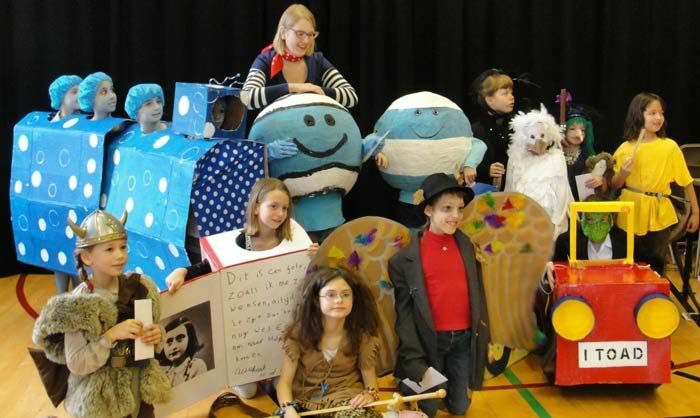 Remember an hour-long school event still can mean several hours of travel, possibly an overnight stay if the author’s coming a long way, preparation time, time away from their regular work, being tired the following day, and the inevitable follow-up head cold. 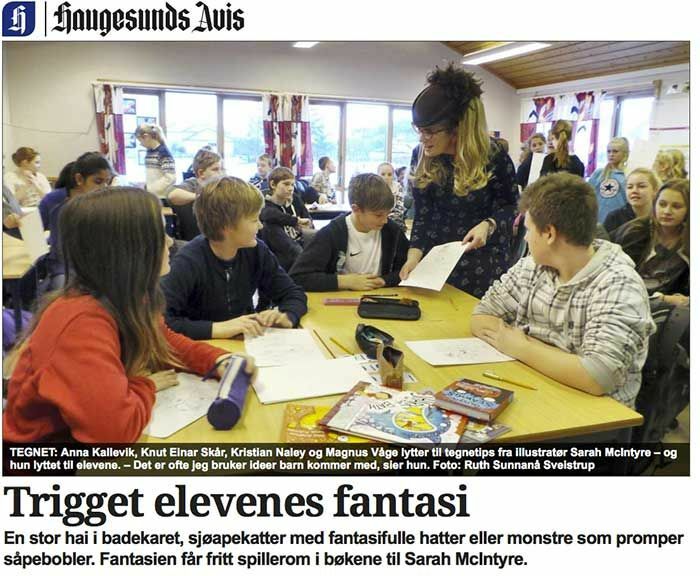 You can read a good article by Nicola Morgan on author visit fees. 3. Discuss book sales in advance. Book sales are important: if kids gets excited about an author and a particular book, it makes perfect sense to put that book into their hands right away so they can read it. A signed book may be something they treasure for their whole lives and it will remind them of the visit. Also, it helps the author to carry on doing their job; publishers don’t have a lot of patience for slow sales and will drop authors quickly. John Dougherty’s written a good article about books sales. 4. Discuss event format. Authors are all different; some will prefer working with large assemblies and some will want smaller workshops. You can negotiate over e-mail or by phone with them what kind of sessions will work best with the room sizes and school timetable. 7. Prepare your kids. If you whip up excitement in advance, kids will pay far, far more attention on the day and come away much more inspired than if they come into the auditorium wondering, who is this person, some eccentric supply teacher? Set projects based on the author’s work. 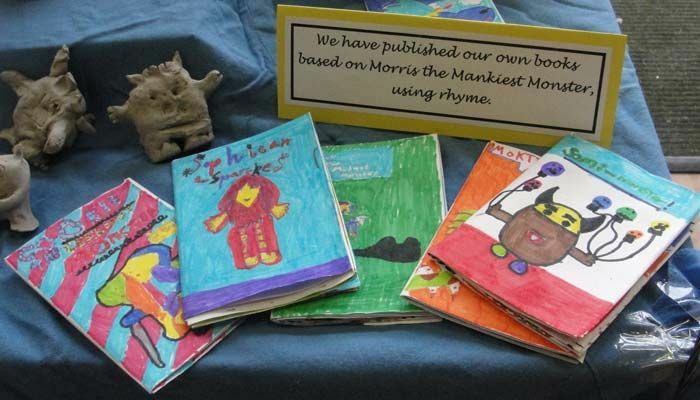 Perhaps create a wall area featuring the author, with photos, book covers, illustrated characters, things the kids have researched about him or her and written or drawn. Let your author know in advance that you've done a project, so the author can tailor their presentation to something more in-depth than a basic introduction to the books. (They will have to assume no one has read the books unless you tell them otherwise.) 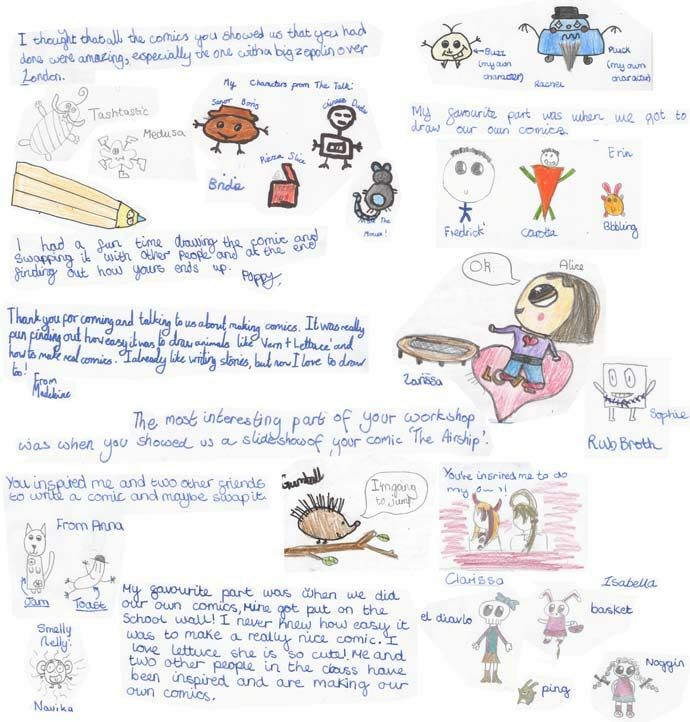 One of the best schools for this I’ve ever encountered was Green Lane Primary, have a look at their preparation work here. 8. Check out the author's website. Besides being good research, he or she may have materials you can use in advance or as follow-up to the session. 9. Come up with a good system for book purchases. Don't expect kids to remember to bring money on the day, have a good pre-order system in place. 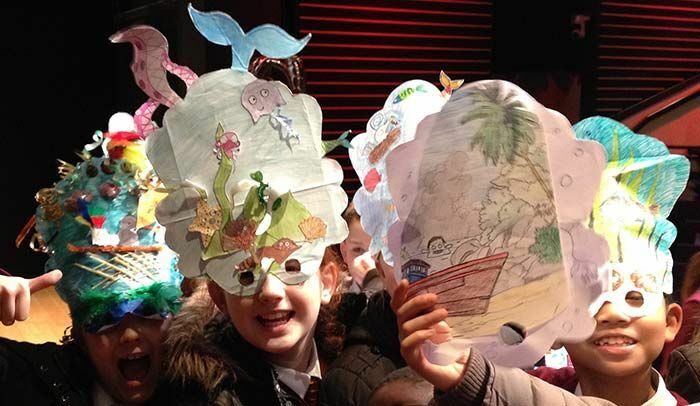 Your kids WILL want books after a good author visit, and it’s a shame to let them down. Ideally, all this information should all go on a sheet of paper that the author can print out, so they don't have to piece together lots of different information in e-mails, possibly missing an important detail. 11. Think about photos. Clear in advance which kids can appear in them: it's great to have a photo of the author with some of your children, perhaps holding up work they've done during the visit. Photos can be useful for the school website, newsletter, perhaps to print and hang up in the classroom as a reminder of the visit, or in the school reception, to show prospective parents. 12. Local media: do you want to alert them? 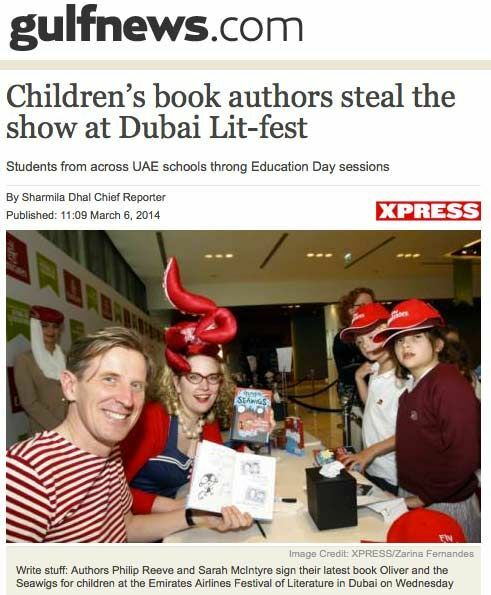 It's good publicity for the school and the author! 13. Assess your supplies: White board, flip chart or visualiser? 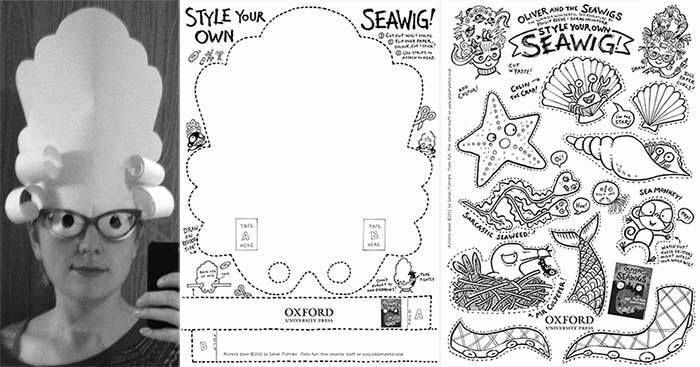 Remember that if you invite an illustrator to draw on your interactive white board, you won't have original artwork to keep and pin up on the wall; it never looks as good printed out. If the author uses a flip chart, the pictures they draw will be large, like posters; if a visualiser, you'll get notebook-sized drawings. Consider the size of the room: a flip chart can be hard to see from the back of a large auditorium, whereas with a visualiser, you can enlarge the image on-screen. 14. Buy new marker pens. Every author knows the feeling of discovering on-stage that a pen's a dud. Three test swipes of a used pen won't always reveal which ones will work for more than a minute. An author visit is a big deal; invest in a pack of new markers, they don't cost that much. Make sure you have enough unwrinkled flip chart paper if the author wants a flip chart, and check that the flip chart stand isn't broken. 15. Check your tech. If the author has a Powerpoint presentation, try to download it at least a few days in advance and test that it works on the school machines. If you're swapping between Powerpoint and a visualiser, make sure it works. Decide about microphones. If you’re getting the presentation from them on the day (on a USB stick? ), be sure you leave enough time for setup before events. 16. Arrange lifts. Makes sure that, if the author is coming by train, that someone meets them at the station and brings them to the school. There’s nothing more dispiriting to an author to start their day trudging through the rain, any supplies they’ve brought getting soaked, and being late because they can’t find the right entrance. 17. Make the author feel welcome right away. Be sure the front receptionist knows the author is coming, and knows their name when they greet them. 18. Be a guide. Make sure someone's always around to help the author navigate the staff room, lunch room, setting up Powerpoint, etc, finding the toilet. Staff rooms can be very intimidating places! 20. Remember that authors aren't teachers. While authors pick up techniques with practice, they're not actually trained in crowd control. You and your teaching assistants need to keep a close eye on the kids at all time, particularly the ones you know have special needs. 21. Have a book signing system. If an author is signing hundreds of books, have someone go through the queue, find out who the children want the book dedicated to (usually to themselves, but sometimes to a sibling or friend). Write the dedication name on a post-it note and stick it to the book. Then the author won't get the spelling wrong, or have to wait for the nervous child to spell out slowly his or her name phonetically. 22. Help out at the signing. Make sure the author isn't mobbed while signing. If the author is signing lots of books; he or she may not have time or energy to sign little bits of paper, which will probably get crammed into rucksacks and lost. Don't make the author be the bad guy who's refusing to sign things; ask the author what he or she prefers, then let the kids know what they can expect. 23. Flowers aren't necessary. If your authors are traveling by train, don't thank them with a flower arrangement that will be cumbersome to carry at rush hour. Instead of budgeting for a gift, just pay the extra into their fee. The author can use that money to buy a drink (or help toward the rent). 24. Follow up the visit! Think about ways of following up the visit. Did the author set the kids a challenge? Is there a theme you could take up for a more in-depth project? Don’t be scared off by the sheer number of tips I’ve given you! Most of these are common sense things, but teachers and librarians are busy people, and it can help to run though a checklist. Remember, a good Author Visit is one of the best gifts you can give your children, and the effects of it may last a lifetime. 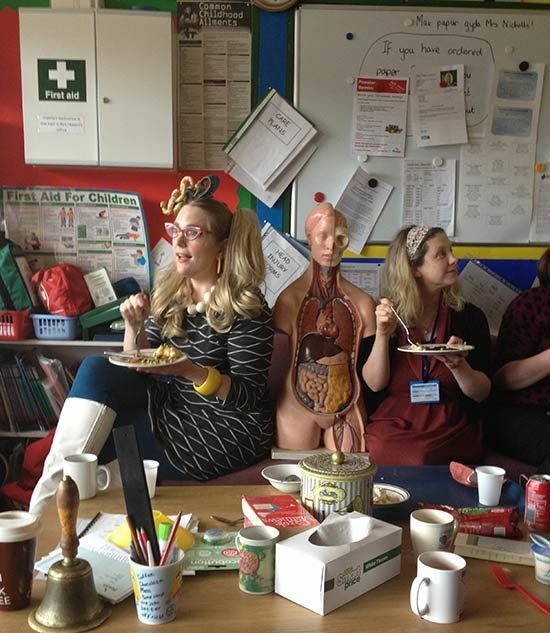 Check out Nicola Morgan's Ten Top Tips for an Author Visit and another great post she's done for authors from the point of view of the organiser. If you'd like to print out a text version of my checklist, you can download it here as a PDF. Gary Northfield (London), David O'Connell (London), Elissa Elwick (London), Gillian Rogerson (Leeds), Anne Cottringer (Hereford), Lauren O'Farrell/Deadly Knitshade (London), the Etherington Brothers (Bristol), Jamie Littler (London), Laura Ellen Anderson (London), Neill Cameron (Oxford), Jim Medway (Manchester), The Phoenix Comic authors, Karen Rubins (London), Sally Nicholls (Oxford), Patrice Aggs (Brighton), Liz Pichon (Brighton), Guy Parker-Rees (Brighton), Steve Cole (Buckinghamshire), James Mayhew (Hertfordshire), Alex T. Smith (London), Philip Ardagh (Tunbridge Wells), Alex Milway (London), Lauren St John (London), Kjartan Poskitt (York), Fiona Dunbar (London), Candy Gourlay (London), John Dougherty (Gloucestershire), Adam Stower (Brighton), Layn Marlow (Surrey), Jo Cotterill (Oxfordshire), Garry Parsons (London), Phil Earle (London), Ed Vere (London), Lizz Lunney (Birmingham), Laura Howell (Birmingham), Asia Alfasi (Birmingham), Juliet Clare Bell (Birmingham), Jon Mayhew (Wirral Peninsula), Moira Young (Bath), Jeff Norton (London), Sara Grant (London), Caryl Hart (Derbyshire), Emma Vieceli (Cambridge), Marcus Sedgwick (Cambridge), Chris Priestley (Cambridge), Woodrow Phoenix (London/Cambridge), Mary Hoffman (Oxford), Geraldine McCaughrean (Berkshire), Meg Rosoff (London), Francesca Simon (London), Nana Li (London), Lucy Coats (London), Garen Ewing (East Grinsted), Bali Rai (Leicester), Bridget Strevens-Marzo (London), Mo O'Hara (London), Keren David (London), Damian Kelleher (London), Anthony McGowan (Leeds), Helena Pielichaty (Nottinghamshire), Ali Sparkes (Southampton), Ian Beck, Jamie Thomson, Children's Laureate Malorie Blackman, Andy Stanton, Nicola Davies, Saviour Pirotta, Tony Bradman, Nicola Smee, Michaela Morgan, Caroline Lawrence, Laura Dockrill (London), Anne Rooney, Kate Hindley, Shoo Rayner, Gillian Cross, An Vrombaut, Anthony Browne, Catherine Johnson, Michael Rosen, Mei Matsuoka, David Almond, Steve Lenton, Tracey Corderoy, Emma Dodd, Kelly Gerrard, Teri Terry, Chris Riddell (Brighton), Paul Stewart (Brighton), Patrick Ness (London), SF Said (London), Jonny Duddle, Polly Dunbar, Tony De Saulles, Leigh Hodgkinson, Hannah Marks, Anita Loughrey, The 2 Steves, Chris Mould, Frances Hardinge, Alan Gibbons, Holly Smale, Tamsyn Murray, Tim Bowler, Steve Hartley, Jackie Marchant. Ah, and the Ireland division have piped up to say that they can easily pop over to the UK to do visits! Sarah Webb, Judi Curtin, Oisín McGann, Steve Simpson, Alan Nolan. You can also go through organisations such as Authors Aloud, Speaking of Books, Authors Abroad or event organisers such as Nikki Gamble of Just Imagine. A brilliant checklist. Thanks Sarah! Fantastic post - I shall put a link to it on my website on my Author Visits page, if that's okay with you, Sarah? Please add me too to the visiting author list - Kit Berry and web address www.kitberry.com Thanks very much for this. Love this article, Sarah. 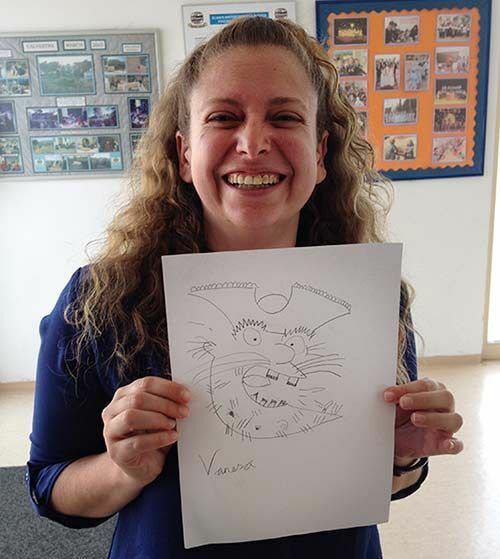 There are so many things to remind teachers and librarians of when arranging a workshop and the technical problems are by far the most common. Your list covers everything clearly and is a great resource. Thank you! Oh, of course! 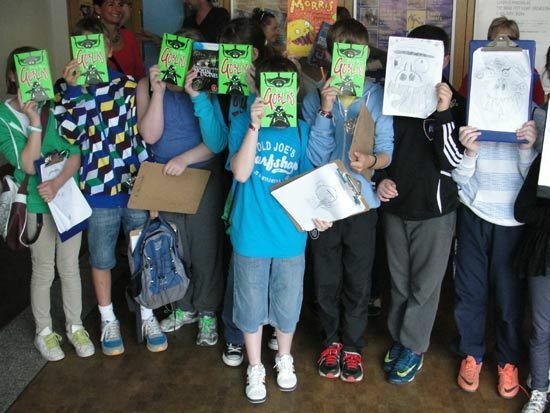 You're so awesome at comics festivals, it totally makes sense you do school visits, too. Yay! This is amazing, Sarah, and SO generous to list so many authors and where we all live. AND you noticed that I am Edinburgh and London! Thanks, Nicola! Your material is so useful, I've been linking to it all over the place! Great to see so much of your handy tips on the Society of Authors website, too. Hi Sarah, I do a lot of visits in London and the south - but have travelled far and wide! Very, very helpful. A couple of things... First, the link in number 2 to Nicola Morgan's article is possibly unhelpful because she quotes some figures (which she got from elsewhere) that are total self-serving nonsense (no, £427 a school day freelance doesn't equate to £40,000; it's more like £90,000 - £120,000). 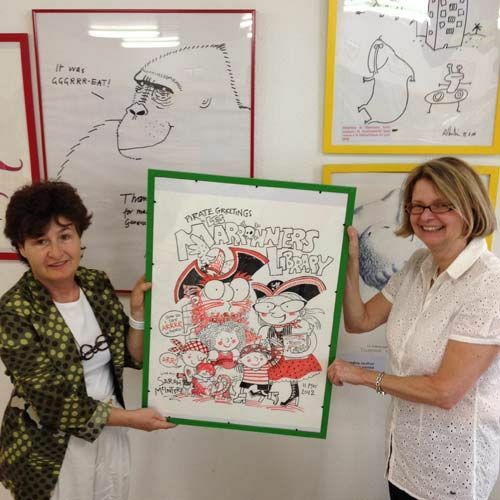 Second, CRBs / are important: they protect vulnerable children, and schools have every right to demand them - and any author or illustrator who wants to visit schools and doesn't have one should be embarrassed. 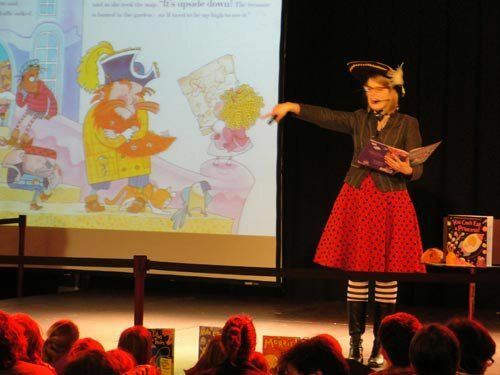 BTW I sell huge numbers of books at schools - about 70-80 per hundred children this year. One tip I would pass on, in addition to yours above (all of which I think are brilliant), is to arrange to pop in at the end of school the day after. Most of my sales are on the next day! I second this about CRB checks. It's not that much to get one, and is more and more required by new schools. Lots to think about for authors as well as schools. 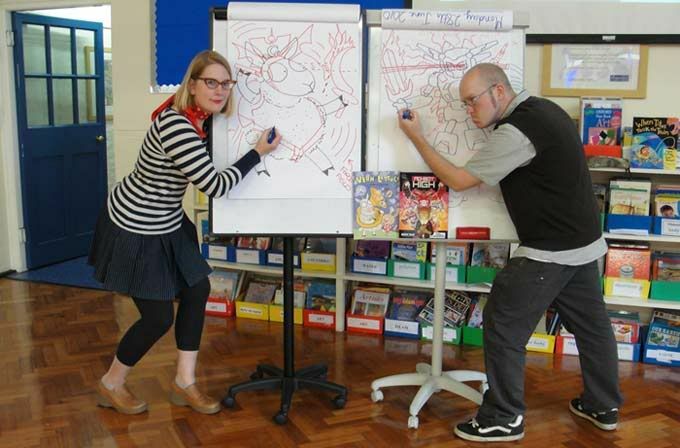 I do school visits in primary schools, usually in the North of England (I'm based in Leeds). I love this post so much, Sarah. It includes everything author visit arrangers need to know. Do include me too! I love to visit and do it as much as I can. A good checklist - although I'd say that schools shouldn't be too hung up about selling books, as many of us doing school talks don't actively sell books or try to push our books during the talks. I've had schools actively sway away from having a writer attend purely because they've had people come in the past who only push their book rather than inspiring the children to read, which of course is the point. And of course, my school talk details are at www.tonylee.co.uk. Hi, Tony! Thanks, yes, I agree the events shouldn't all be a push for book sales. But at the same time, I think it can be a great thing to get kids excited about what went into the making of a book, and then get the chance to hold a copy in their hands, meet the author, get it signed, read it, and possibly treasure that copy for the rest of their lives. If you give a talk and they don't get a copy of the book, even to be able to check out in the school library, there's a chance they'll forget and most or all of what you said might be forgotten. For some kids, it might even be the first book they've ever owned for themselves. I've occasionally been to a school where they haven't even acquired a copy for the library and I do worry the time spent will have been for naught. I haven't got a clue what I am doing as a first time children's book author, I had no idea there was payment involved let alone anything else! Good luck with it! :) Yes, it's counter-intuitive, but I've found that the amount the school has prepared the school for a visit is directly proportional to how much they've paid. One school even had a bake sale so they could host me, but when I arrived, they had all read the books and were SO ready to listen.